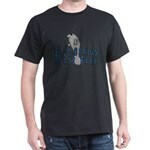 Dolphin Peace T-Shirt - Our NEW Dolphin Peace Design. Cool and Colorful Summer T-Shirts. 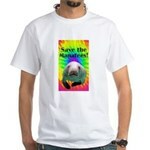 For Dolphin Lovers by Only Originals and Gift-Shop-Dogs. Check out our other Original Dolphin Designs. I brake for manatees. 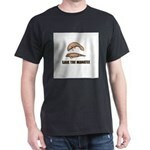 T-Shirt - Put it on your car or boat. Slow down for them ... they ain't gonna outrun ANYTHING. 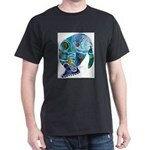 Manatees White T-Shirt - This design of a manatee is an original Artwork. Manatees are endangered marine mammals, sometimes called sea cows because they graze underwater grass. 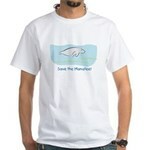 Save the Manatees! Endangered Manatee Apparel.